Edugram - Affiliate CPA network reviews and details. 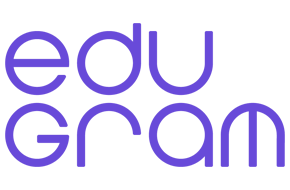 EduGram is a CPA network for educational traffic monetization that covers the whole range of educational services. Our affiliates will have more chances to earn on student and school traffic in the world. Learning the way to monetize traffic from different continents, we can share skills with you. As one of the best online marketing programs, EduGame is considered as the great way to begin earning in foreign currency. Working with our CPA network, you can receive profitable and interesting offers. Our products will be developed based on your wishes. Besides, high-level promotional materials will be provided, which ensures high ROI. In terms of payment, we prefer daily payouts. We encourage a fair cooperation with publishers. They will be provided with detailed statistics. We have the plan to arrange conferences, write cases and promote innovative technologies. Furthermore, we have a team of professional developers with experience and you can get our support 24/7. You can check EduGram reviews and Offers on Affbank and ask EduGram Team any question by using the contacts above, especially about how to earn money!